The Ice Bucket Challenge is designed to raise awareness for a horrible disease, not sell your phone. 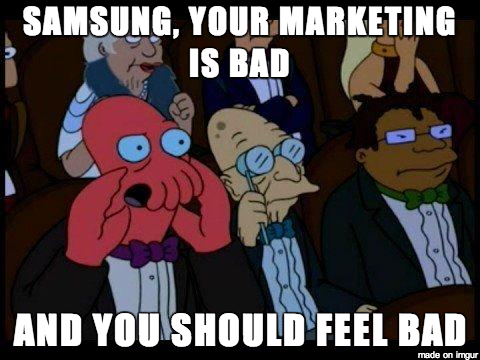 It doesn’t matter that you, Samsung, donated money to a UK organization fighting the same condition as the ALS Association. To reduce a worldwide movement to a phone advert is just about the worst thing possible.